We propose a method based on a nonlinear transformation for nonrigid alignment of maps of different modalities, exemplified with matching partial and deformed two-dimensional maps to layout maps. 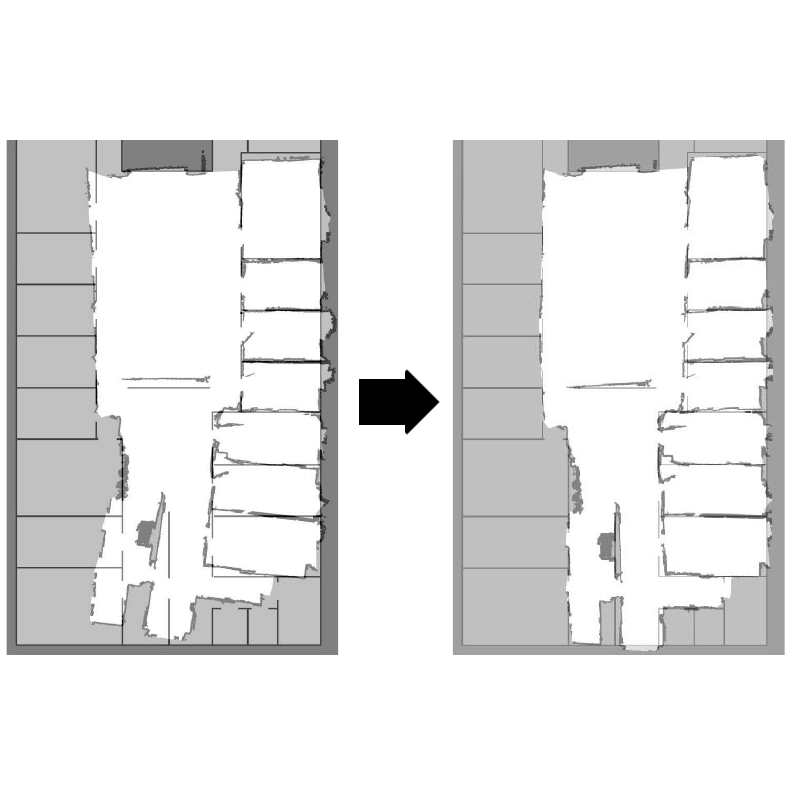 For two types of indoor environments, over a dataset of 40 maps, we have compared the method to state-of-the-art map matching and nonrigid image registration methods and demonstrate a success rate of 80.41% and a mean point-to-point alignment error of 1.78 m, compared to 31.9% and 10.7 m for the best alternative method. We also propose a fitness measure that can quite reliably detect bad alignments. 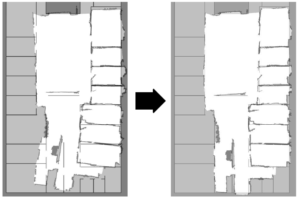 Finally, we show a use case of transferring prior knowledge (labels/segmentation), demonstrating that map segmentation is more consistent when transferred from an aligned layout map than when operating directly on partial maps (95.97% vs. 81.56%).